Evil is state of mind. Alan, Tommy, Rick, Donald and Bernard were inseparable best friends living in the small coastal Massachusetts town of Potter?s Cove. A circle of five, their world was simple and happy until the day Tommy was struck by a car and killed. Nothing was ever the same. They were never the same. Years later, as the four survivors, all unhappy, unsuccessful and marking time, approach their fortieth birthdays, Bernard suddenly commits suicide. Within weeks of Bernard’s death, one by one, the mutilated bodies of murder victims are found in town, and as the three remaining friends attempt to solve the riddle of Bernard’s suicide, they come to realize that he may not have been who or what they thought he was. His entire life may have been a lie, and rather than the sad, lonely, and harmless person they believed him to be, he very well may have been a savage ritual killer, a bleeder of young women who conjured evil to fulfill his own demented dreams. To find the truth, not only about Bernard, but themselves, they must delve into the darkness and those who inhabit it, a darkness that cradles an unspeakable evil so terrifying it could forever trap them in the shadows of the damned and shatter the very concept of their existence. 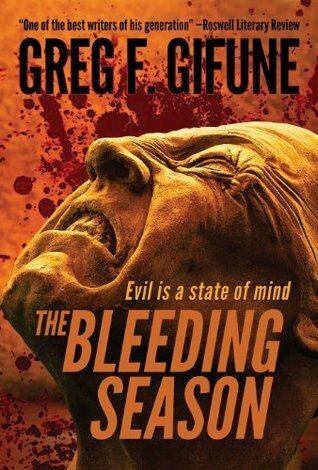 Greg F. Gifune’s THE BLEEDING SEASON, originally published in 2003, has been hailed as a classic in the horror genre and is considered to be one of the best horror/thriller novels of the decade. One summer in Potter’s Cove.. brothers, not blood brothers, pals, lifetime friends, have questions arise on ones strange death. A case of death, then nightmares then…plot thickens ..unsettling and stirring minds to the past. All the Nostalgia, recollections, mysteries, doings and undoing, things past, unsettling truths and more to come. One in character in first person narration, Alan Chance, seeks out an answer behind, Is evil a concept or theory or something else? Taking you by the hand in first person narration, deep into psychology and metaphysical states, with a well crafted voice and great storytelling in the realms of shadows of past and present. Jigsaw pieces arising and converging of what one was, echoes arising and deciphering the past into the inevitable finished portrait, a descent into the disturbing and sinister, provoking and remaining, bleeding one. Lurking in shadows of my kindle library was this from maybe 2012 and of which now has a new cover and new reissue and mentions, and so needed read. Something astonishing that big publishers haven’t snapped up. Beats many picked to be best reads that are not. Small press is fine but writers have bills too and big money for the right book is justified. A tale uncovering the stuff that lays hidden, the nature and concept of evil, the shadows hidden, evil laying and waiting in the narrative. 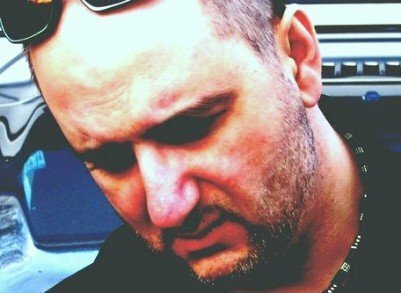 Greg F. Gifune is a best-selling, internationally-published author of several acclaimed novels, novellas and two short story collections. Working predominantly in the horror and crime genres, Greg has been called, “The best writer of horror and thrillers at work today” by New York Times best-selling author Christopher Rice, “One of the best writers of his generation” by both The Roswell Literary Review and horror grand master Brian Keene, and “Among the finest dark suspense writers of our time” by legendary best-selling author Ed Gorman. Greg’s work has been published all over the world, translated into several languages, received starred reviews from Publishers Weekly, Library Journal, Kirkus and others, is consistently praised by readers and critics alike, and has garnered attention from Hollywood. Two of his short stories, HOAX and FIRST IMPRESSIONS have been adapted to film. 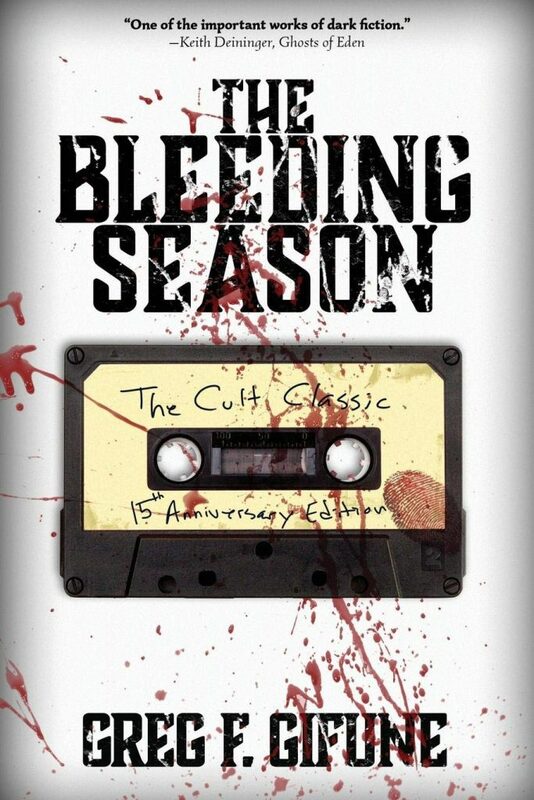 His novel CHILDREN OF CHAOS is currently under a development deal to be made into a television series, and his novel THE BLEEDING SEASON, originally published in 2003, has been hailed as a classic in the horror genre and is considered to be one of the best horror/thriller novels of the decade. Greg resides in Massachusetts with his wife Carol, a few cats and two dogs, Dozer and Bella. He can be reached on Facebook and Twitter or go to his website.